This weather is getting warmer and that gets me to start thinking about white wine again. A good friend of mine is a wine maker in Oregon at the Lemelson Vineyards. As any winemaker he is proud of what is produced but so is the wine drinking world. The New York Times rates their reserve chardonnay #1 in a recent tasting. Congratulations! I am awaiting a bottle in the mail to try. 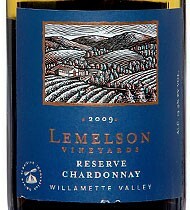 The 2009 Reserve chardonnay from Lemelson is described as, “…very much reminded me of a good Pouilly-Fuissé, with its lively energy, seemingly ready to uncoil in the mouth, and subtle flavors that might best be described as mineral, spicy and nutlike, but not fruity.” Now that is a description. So if you have ignored Oregon chardonnay in the past consider it again. If you are looking for something new, check out this list. Especially the 2009 Reserve chardonnay from Lemelson Vineyards. Cheers! 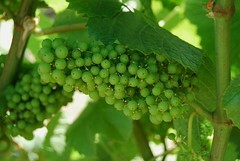 Oregon Chardonnay Finds Its Voice – NYTimes.com.